I think you should test Palio Aeolus. The most expensive rubber no one ever talks about.. 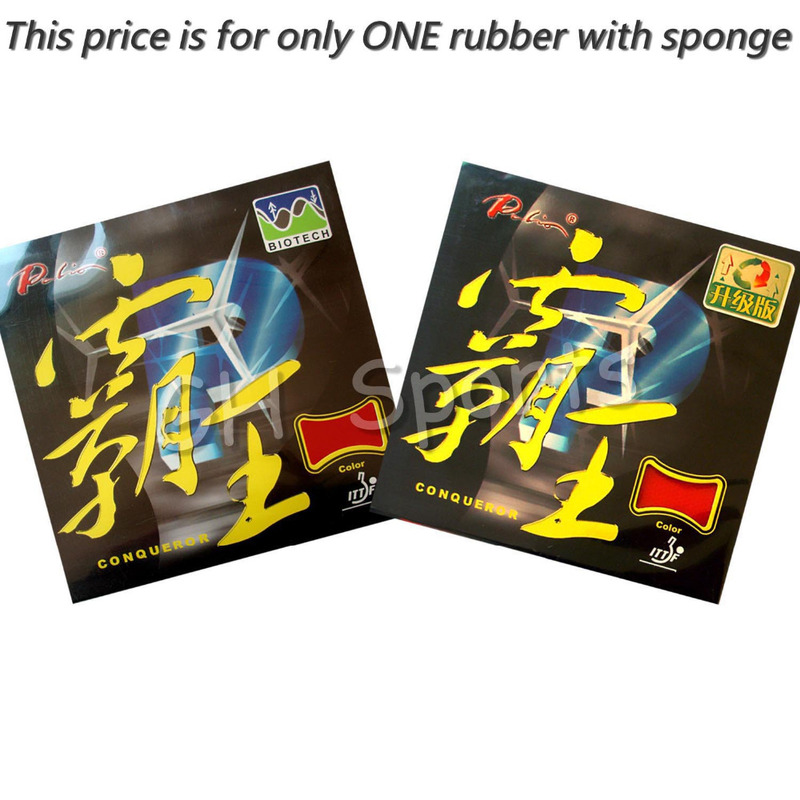 Didn't learn much from the video, other than Conqueror is a sticky Chinese rubber with a "protector sheet" and the usual nonsense - Biotech sponge, etc. - while the new AK47 does NOT have a "protector sheet" and is seemingly "European style". In other words, like Yinhe Mars II and Yinhe Big Dipper. It's got the usual counterdriving sequences. Maybe someone with a better eye can actually spot where the rubber is making a difference in the shots, I cannot. Wasn't familiar with Conqueror, didn't recall ever seeing it before, so I looked it up. Eacheng has it. Blurb: "Conqueror rubber is produced with the latest supper special Japanese single crystal additive, PANA-TETRA, which enhances the dynamic of coefficient of friction (spin), antiabrasion (durability), and stability markedly. In other words, what more can one ask for in a rubber when there is stronger spin, superior steady control and the great speed coming from Palio tensor?" Wow.. there you have it.. A "Palio tensor"??? Note the "Biotech" sticker on one of the packets. Surprisingly only available in 2.0 sponge. 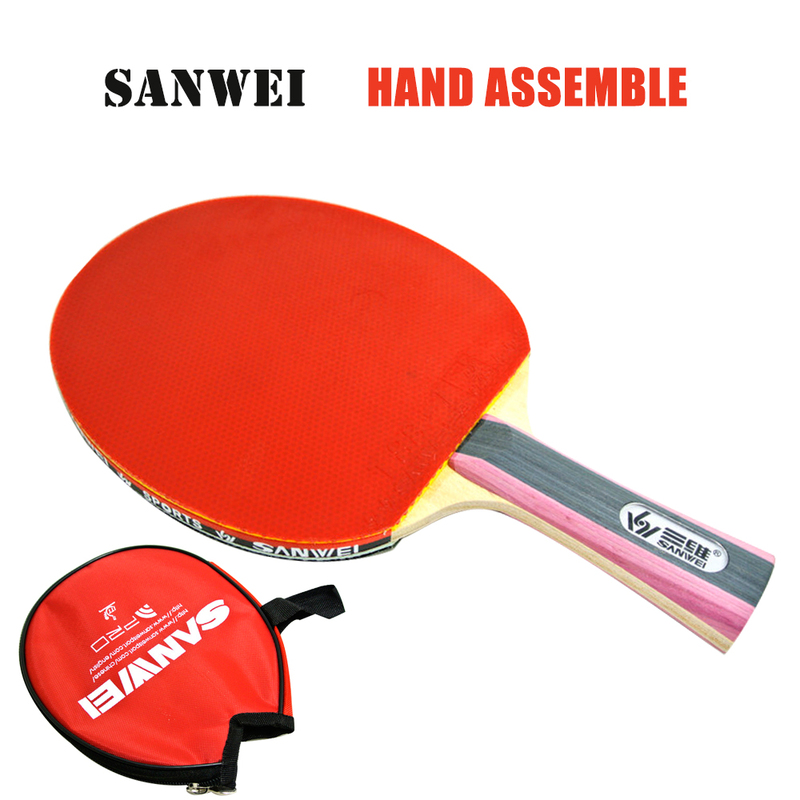 Cheapest price from Eacheng: $15.27 (GH Sports wants almost $20 for it). I think it's a fairly recent product, but heck.. it's just another Palio tacky - I've tried a LOT of them, I like most but QC issues were rampant (especially among Yasaka ZAP and CJ8000). AK47 Blue? This has been out for a while - you can tell because you can get it for under $12 from the Eachengs - but be careful, some of the Eachengs want considerably more (a little under $22, even $35!). Blue has the softest sponge (38 to 40 degree) perhaps making it most "European", which is probably why everyone wants to review IT, and not the yellow or red, which are medium (40-42) and hard (45-47) sponge versions. Wow.. that cheap? Maybe it's time to buy a sheet myself - then again - WHY????? Just to see what it's like of course, what the hype is all about... which in the end will be "just like everything else.." At least it's not $20 any more. You know what this means, don't you? This is CHEAPER than Conqueror! Yes!!!! The "officialr Palio store"!!!!!! (sic) Their sales force seems to be a bunch of kittens and puppies... Their prices are a few cents above the best Eacheng price, but even so maybe I'll give them a try. Comes with AK47 rubber. 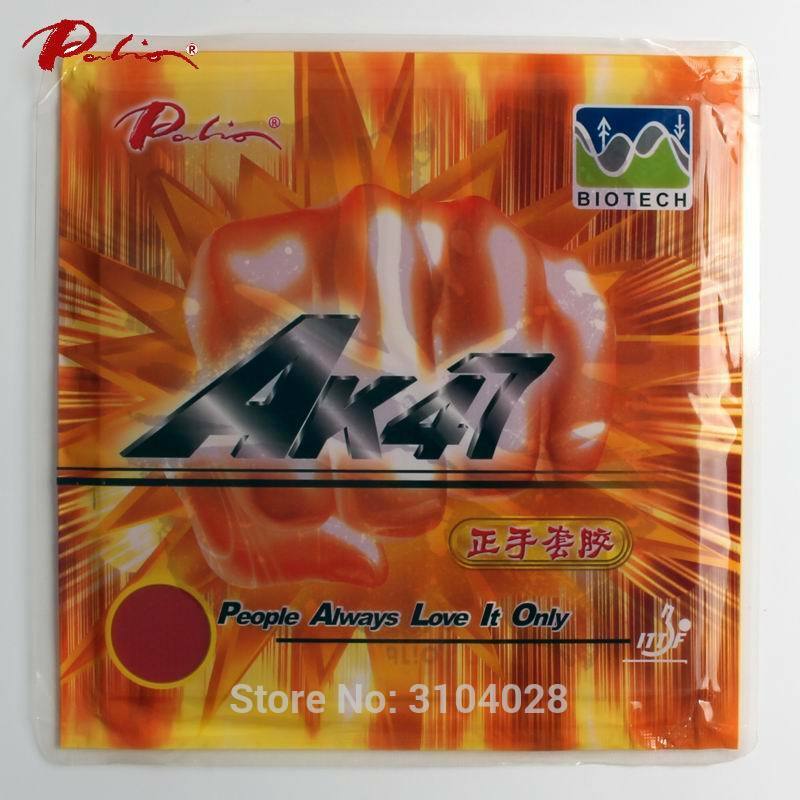 Might be the older Biotech/whatever version of AK47 though, since neither sponge is blue, yellow nor red. It does seem to be a carbon blade, though. One reason to get it might be that there is a penhold version. Oh by the way... Palio Aeolus is still available. $77!! I remember someone posting it was an eighth generation Tensor or something of the sort. Must be a really super rubber - that's more than what you'd pay for Tenergy. Maybe our Polish reviewers might review this... head to head against Tenergy 05?? Oh wait a second though... what does the little gold sticker say?? Something about 37 degrees (which is a lot less outlandish). That $13 bat is an absolute bargain. For a garage player like me you cannot get any better VFM that that .I dont need one but it would be rude not to buy one or ten at that price. I thought that you knew that there are a few different hardness scales and that different TT equipment companies use different scales. 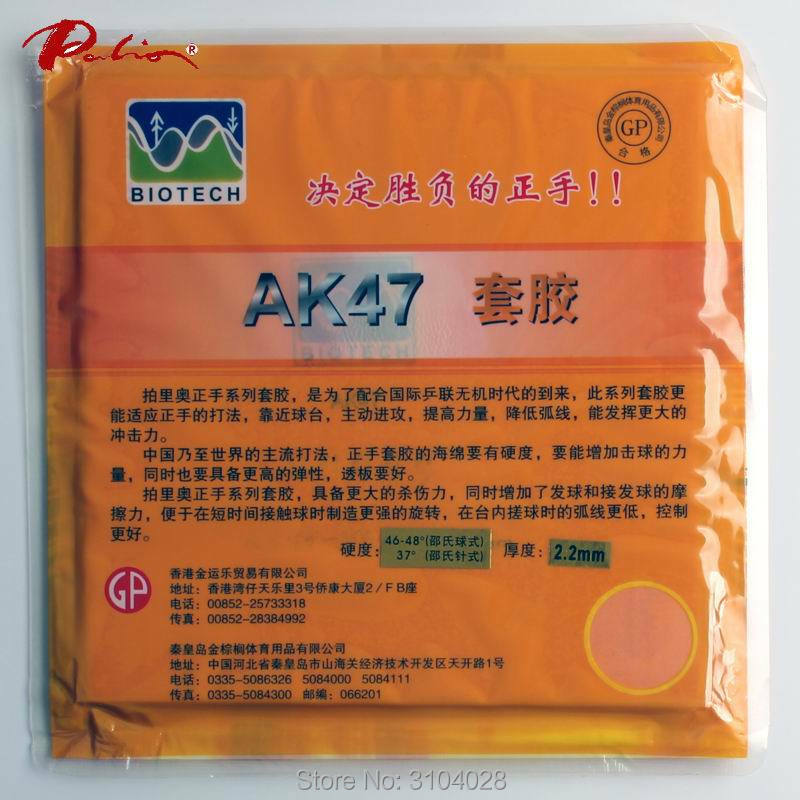 If I or someone could be bothered to put the Chinese text that is next to the 2 numbers given through Google translate or ask someone to translate it then we could find out which 2 of the scales hardnesses are given for this AK47 packet. Well, what's confusing is the website says the 46-48 degrees is on the "729 scale". As I said, that's bloody hard. Batwings is sold in 40-42 and 44-46. What's the 37 then?? DHS? If so then the 38-39-40 of DHS would also be bloody hard, and I don't think it is. The "M8" pre-made being sold by XVT's in the same price range (especially when you find it on sale). I have that one and I KNOW it's good (and in my weight range). It might be interesting to get one of these Palio bats just for comparison, but I think I'll leave that to someone else... I suspect it's heavier and if it uses carbon it'll be faster/harder. 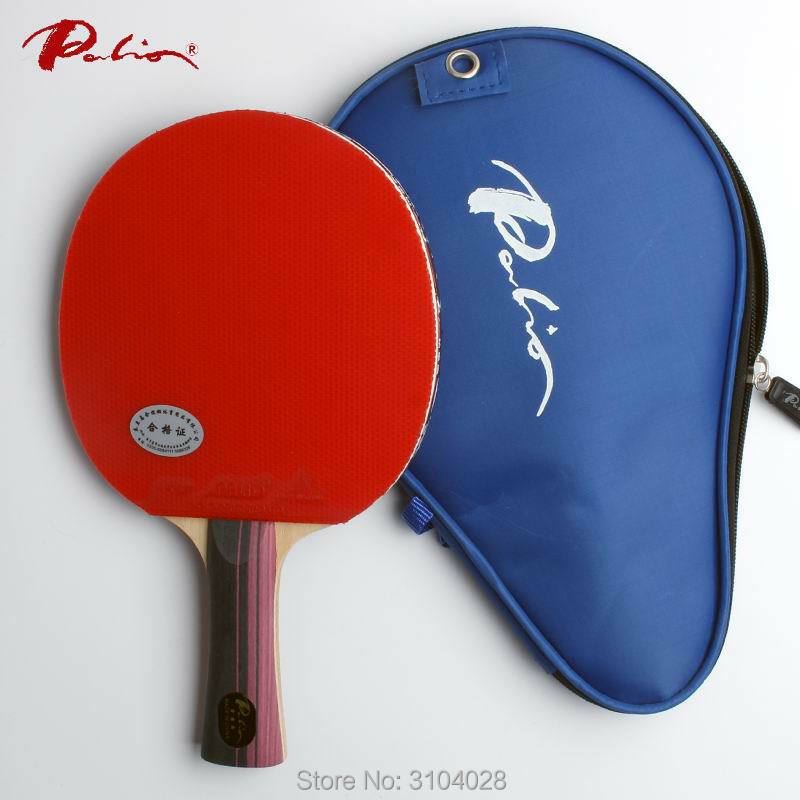 Actually... come to think of it.. the Palio bat comes with a better racket case (it covers the handle.. ).